Angie in T.O. 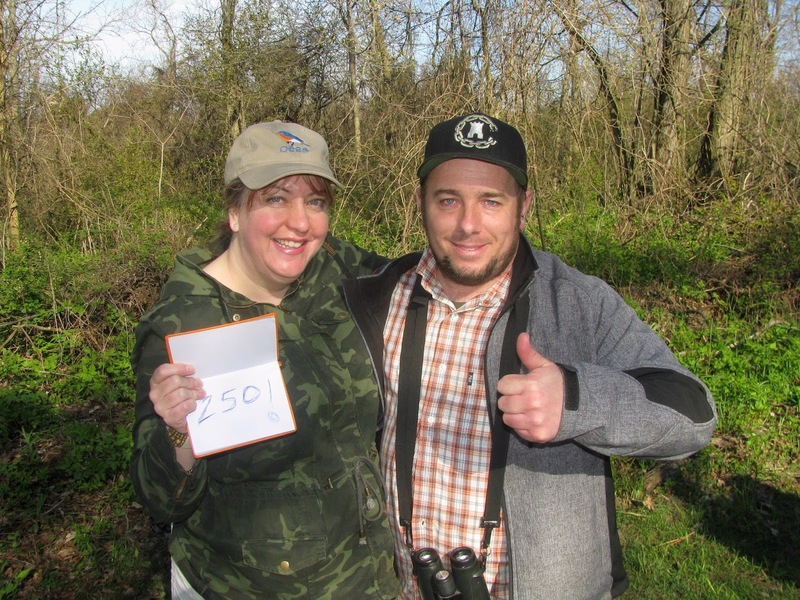 : MY 250th LIFER! I got my 250th bird species with a little help from Len. I haven't added a new bird species to my "Life List" since last May. I knew the chances were pretty good that I'd be able to add one to it on our recent visit to the Point Pelee area. But that's not why I bird, I enjoy birding and I can still get just as excited about a bird I've seen hundreds of times as I can when I see one for the first time. Still, it's always fun to add one to the list, and when there's a fun story behind it, well, that's even better. Rob and I left on a 4 day birding road trip on May 8th. The first day we visited Hillman Marsh, two days at Point Pelee, and a stop at Rondeau Provincial Park on our way home May 11th. Our first day at Pelee started with a trip to the tip. We caught the first shuttle down and walked back to the visitor centre to warm up with a hot coffee and have some breakfast. 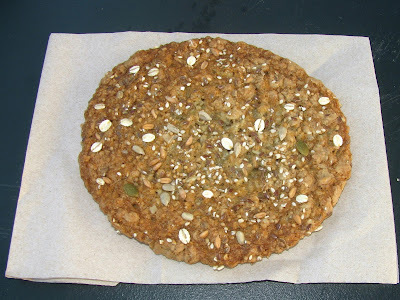 My Point Pelee breakfast favorite, Bird Seed Cookie! We were having as many good people sightings as birds. It was nice to run into fellow birders that we hadn't seen in a year or more. One of those being Len, who I don't think I'd seen in about 3 years. He, his friend, Paul, and Paul's wife, Christina, came over to say "Hello" when they spotted us sitting at a picnic table. We chatted for a few minutes and off they went. Rob and I took our time enjoying our coffee and food, but eventually got up to check out another trail. Rob had heard from another friend of ours in the park and we were waiting for him when our "Bird Nerd" moment of the trip happened. Our yearly Spring "Bird Nerd" moment is an unexpected and memorable tale that we will talk about for years to come. While we were waiting for Dave to join us at the visitor centre, Len and the others came out of a trail, spotting us, Len says "Get on the tram." (the shuttle that takes you to the tip of Point Pelee) "Get on the tram." he says again, so we do. If Len says, get on the tram, you get on the tram and ask questions later. 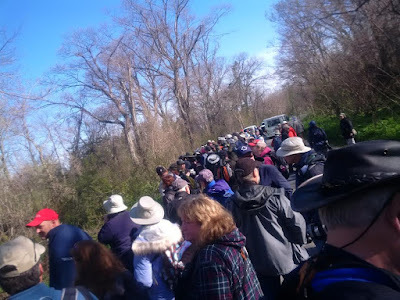 Now, Dave hasn't showed up yet, but after we're informed that Len has been informed that a Kirtland's Warbler has been spotted at the tip, we are going to the tip, with or without Dave. 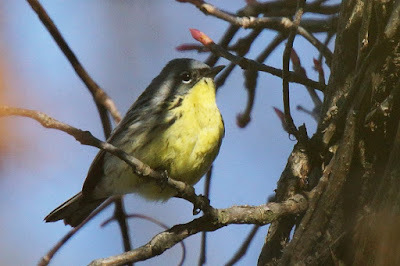 Kirtland's Warblers are not common in Ontario, and this will be a lifer for both Rob and I. Just as the tram is about to leave we spot Dave, we tell him to "Get on the tram! ", he's like, "What? we're going back to the tip?!" But after we tell him why, he's quite happy to return to the tip. Turns out, it will be a "lifer" for Dave too. It wasn't hard to tell where along the road the Kirtland's Warbler was being seen once word got out, and that didn't take long. The Kirtland's Warbler caused a bit of a frenzy! When the tram left for the tip the adrenaline started to kick in for me. What if it's gone when we get there? What if I can't see it? What if I miss it? Oh the excitement! Once we got off the tram at the tip, we walked back down the road hopeful we would get to see the bird. I'm happy to report we all did! It was flying up and down the road low in the bushes eating a bug buffet. After spotting it the first time and getting a look at it we were all thrilled and talking about it. Rob didn't take any pictures, he decided to just enjoy the moment watching it through his bins. Before we headed out from the area to continue our birding day, I decided I wanted to try to to see if I could get a another look, and I'm so glad I did. The bird came out closer then the first time, and I got an even better look at it, and Dave was right beside me, so he was able to snap a photo! 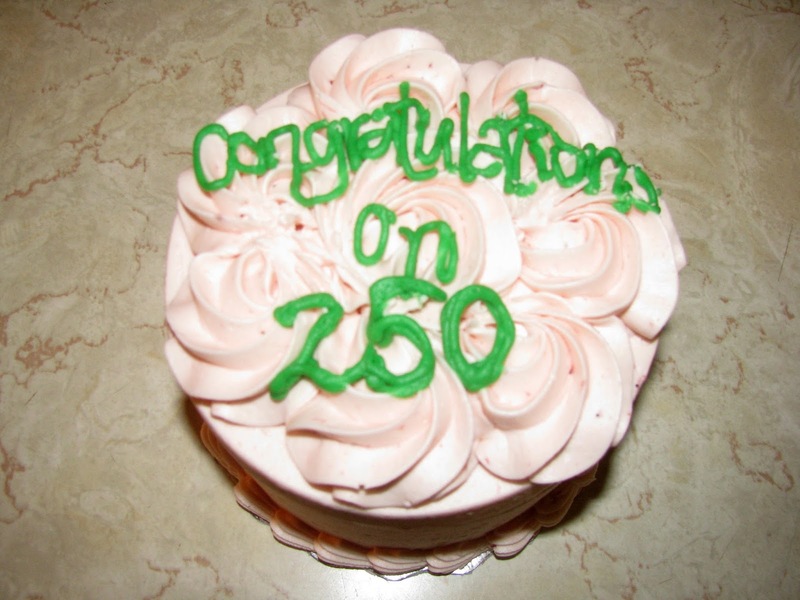 Heart felt thanks to Len, for letting us know about the bird, and bringing about a memorable story and my 250th lifer. I got a cake to celebrate when we returned home.